With 10 days left of the summer transfer window for Premier League clubs Manchester United continue to be linked with more central midfielders. Jose Mourinho has already brought in Fred from Shakhtar Donetsk since the end of last season and when Marouane Fellaini signed a new contract at the end of June we thought we wouldn’t be looking for any further players in this position. 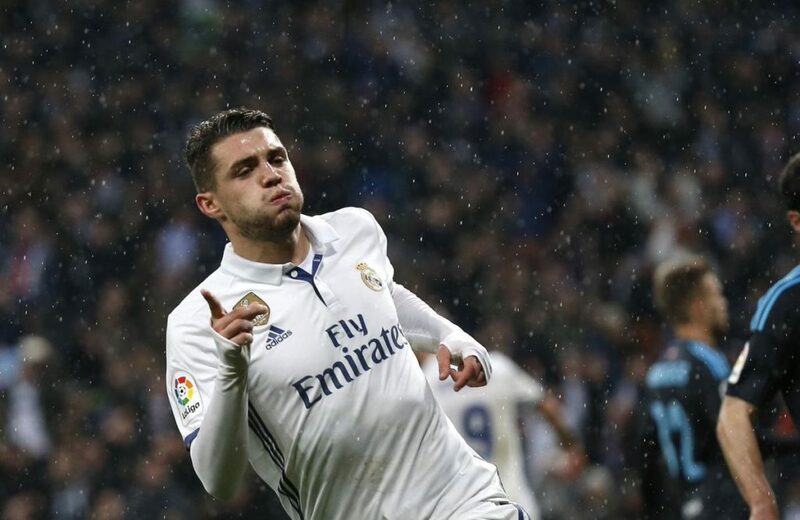 However, it is now being reported that we are battling it out with rivals Liverpool for the signature of Real Madrid midfielder Mateo Kovacic. The 24-year-old has already told the Champions League winners that he wants to leave this summer. Mateo Kovacic made a name for himself as a youngster back at Dinamo Zagreb before he joined Italian giants Internazionale back in 2013. Two years later and he was off to one of the most glamourous football clubs in the world – Real Madrid. However, his time at the Bernabeu hasn’t gone to plan as Kovacic has never held down a regular place in the first team. This was evident last season alone where he made only 10 La Liga starts under Zinedine Zidane. With Real boasting the likes of Luka Modric, Toni Kroos and Casemireo in their midfield it has been very difficult for the Croatian international to get much of a look in. Kovacic let out his frustration over his role earlier this summer, alerting clubs here in England that he could be available for transfer this summer. Now, TeamTalk are claiming that Manchester United and Liverpool are frontrunners to sign the central midfielder. The report cites Spanish outlet Diario AS as saying that the highly-rated midfielder has told both teammates and new manager Julen Lopetegui that he wants to leave the Spanish giants in order to play more regular first team football. Despite this, Real Madrid aren’t prepared to let their player leave for cheap as Diario AS also says the record Champions League winners are demanding a staggering £71 million for Mateo Kovacic and that they would also need to find a replacement before allowing him to leave. It is not yet known whether either Manchester United or Liverpool are prepared to meet Real Madrid’s asking price, but the hope could be that his desire to leave the Spanish capital could help us drive the price down. We could certainly do with a player of Mateo Kovacic’s talent. He is excellent at maintaining possession and bringing teammates into play as he keeps the ball rolling in the middle of the park. Previous Article← Man Utd target available for £27m – are we set to make an offer?